﻿ V-Rally4 - Rally and Hillclimb revealed! Modern and historical cars, Africa, Siberia, the American desert… in V-Rally 4, the rally challenges are real technical challenges, on all surfaces, that you’ll have to be an expert to hope to win. Phenomenal power and endurance are what lie in store for you when you decide to take on a mountain in the Hillclimb challenges. You’ll be at the helm of race cars sporting over 1,000 horsepower, specially designed for this discipline, which you must expertly control on tracks running along cliff faces, as dangerous as the scenery is amazing. Extreme-Khana: you must master drifting and combine speed and precision in these trap-packed courses. 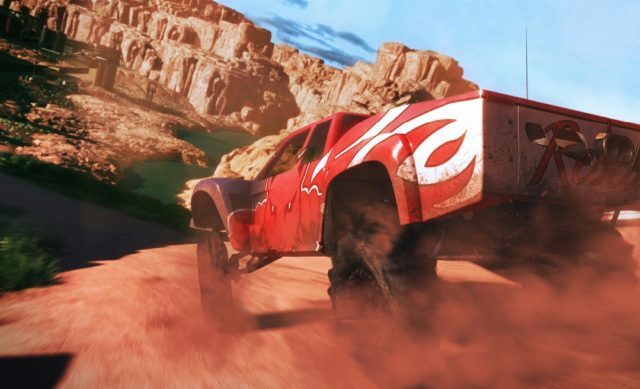 V-Rally Cross: confront 7 opponents who are hell-bent on making you bite the dust on dirt/asphalt tracks. Each discipline offers a unique and different driving experience. V-Rally 4 also allows racing fans to put their skills to the test and to learn new driving techniques. This versatility will be of great use in Career Mode, which lies at the heart of the game’s experience and which will take the drivers around the world.